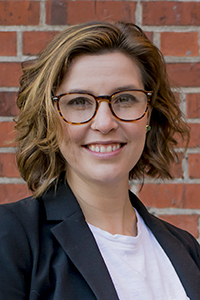 Miranda Atkinson is the Associate Director of Student Services and a career and academic adviser in the School of Journalism and Communication. She oversees career-related programming and services provided by SOJC Student Services and advises prospective, pre-journalism and journalism students. She co-teaches the journalism transfer seminar and journalism job/internship strategies class. She helped establish the UO’s All Campus Advising Association and co-launched the first campus-wide Excellence in Advising awards program. She is active in NACADA and regularly presents at conferences. Before relocating to Eugene in July 2010, Miranda served as an academic adviser at the University of Missouri where she earned her masters degree in counseling psychology. She also has a bachelor of science in psychology with minors in biology and English. Her primary interests include student outreach, the use of Motivational Interviewing in advising and student career development.